Moana (film) An adventurous teenager, Moana, sails out on a daring mission to save her people. During her journey, she meets the once-mighty demigod Maui, who guides her in her quest to become a master wayfinder. Together they sail across the open ocean, encountering enormous monsters and impossible odds. 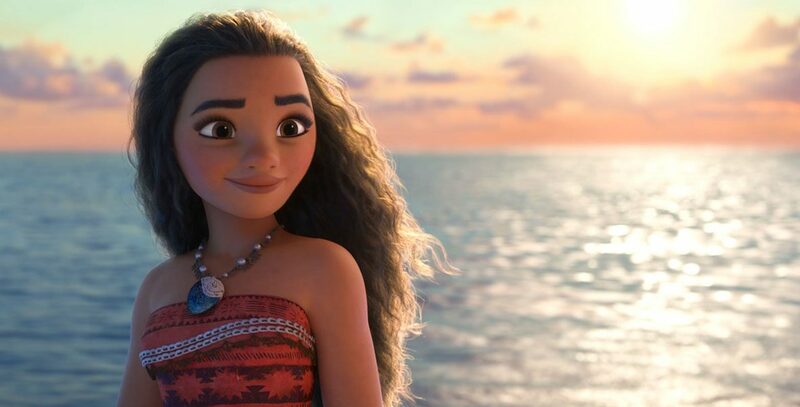 Along the way, Moana fulfills the ancient quest of her ancestors and discovers the one thing she has always sought: her own identity. Directed by Ron Clements and John Musker. Released on November 23, 2016. Voices include Auli’i Cravalho (Moana) and Dwayne Johnson (Maui). From Walt Disney Animation Studios.